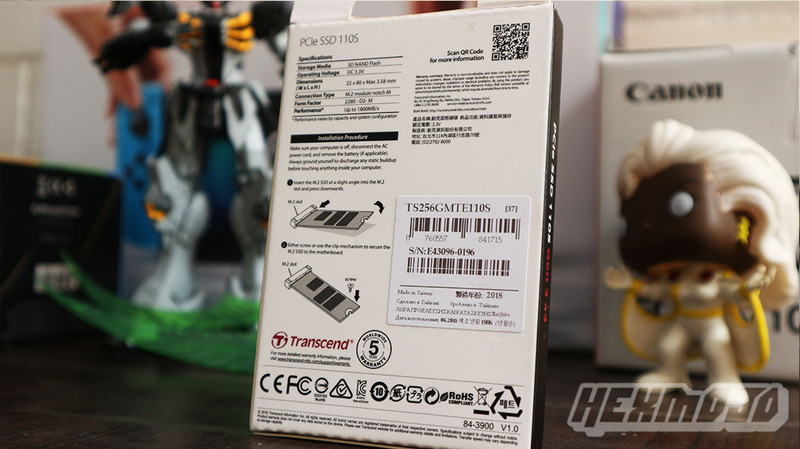 Transcend doesn’t plan on stopping anytime soon when it comes to dishing out high-performance storage solutions, and we’re quite eager to see the company join in the gaming fold with its own name brand should they decide to. 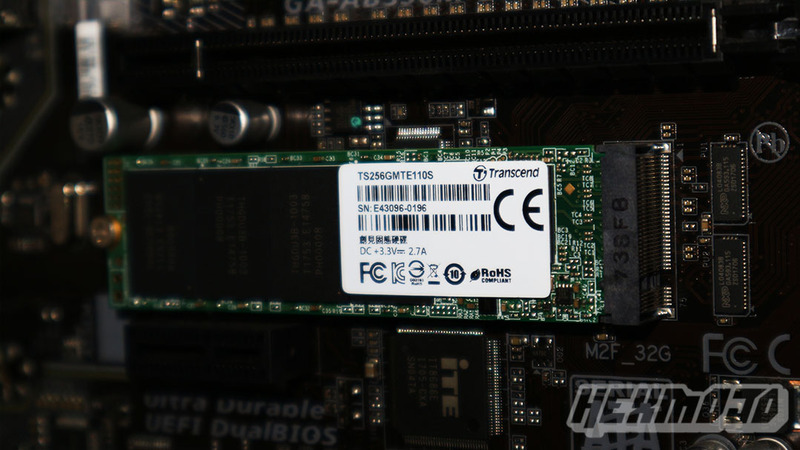 And while we wait for it, we’re here to take a look at Transcend’s PCIe SSD 110s – an NVME M.2 SSD that seeks to unleash performance and reliability beyond your expectations. 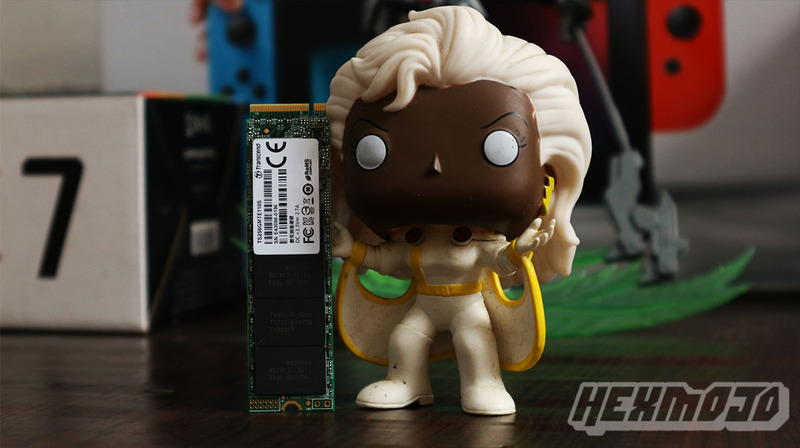 We’re talking about 1,800MB/s rated read speed and a Five-Year Warranty backing it up. It’s definitely worth taking a look at. Warranty Policy Warranty does not apply when SSD Scope's wear-out indicator displays 0% within the warranty coverage. 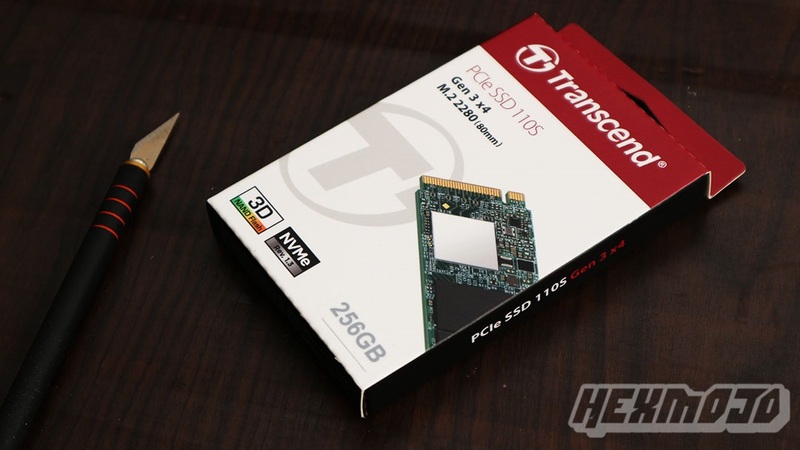 The Transcend 110S is presented in quite a familiar packaging. We’ve handled a lot of the company’s products, and this design format and we’ve been very much acquainted with it. Its compact box sports the traditional red, white and black color scheme. The front side presents its highlight reel – it follows the NVME 1.3 standard and uses 3D NAND flash memory for fast performance and high reliability. And currently, we’re looking at the 256GB variant. Both the left and the ride side of the box contains the product name, and at the back are some of the juicy bits of details you’d first want to check out. 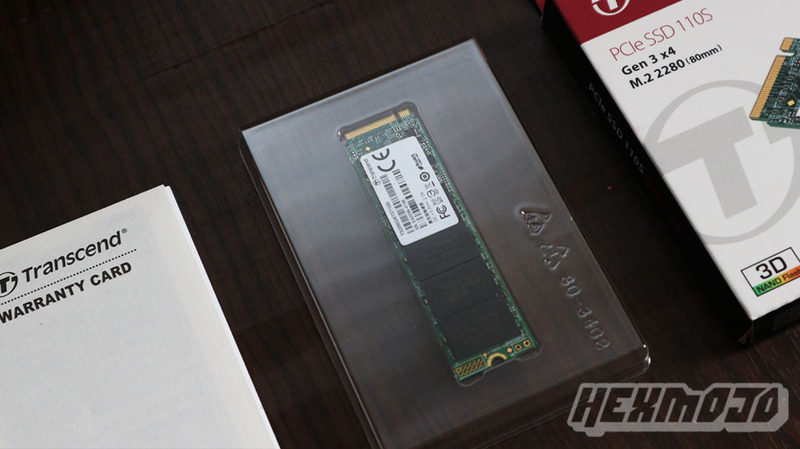 You can see the technical specifications to give you an overview of what you’re getting, an installation guide if this is your first time shopping for an M.2 SSD, some information regarding its warranty, and of course, some certifications in compliance with the standard. There’s not really much you can expect with the 110s in terms of appearance. There’s no fancy heatsinks here to flair up the design or even help with the thermals, even for a bit. 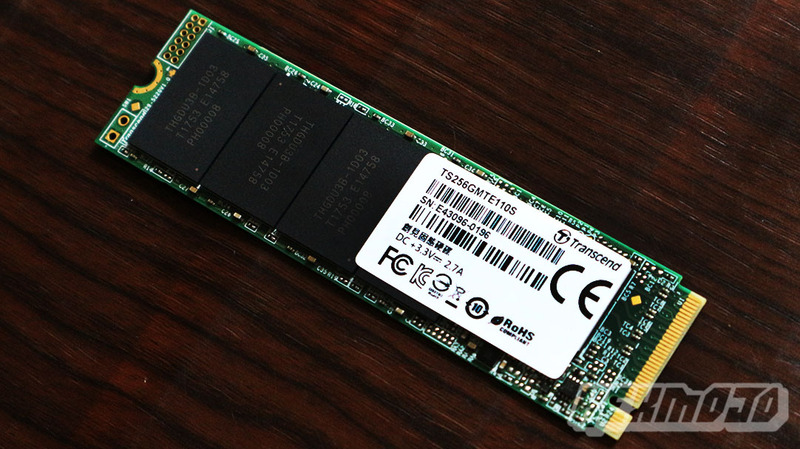 It’s a good thing there are now plenty of cooling solutions now available for M.2 form factor SSDs, so it could be your best bet to get one while you’re at it. Anyway, this does give us a better view of what we’re looking at, plus, it’s worth mentioning it’s what inside that counts. Carry on. 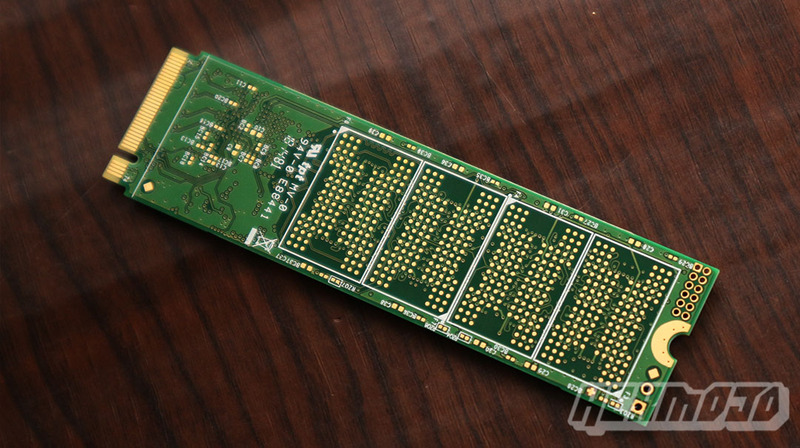 Basically, we’re looking at a PCIe SSD with a M.2 2280 form factor. It’s bare – you’re going to see what you’re dealing with as soon as you hold the package. It’s quite light, too, at 8g. Well, then. Moving forward, there are three visible plus one hidden THGDU3B-1D03 3D NAND flash memory modules. A quick Google-Fu doesn’t exactly yield anything useful, but we’re pretty sure at this point you’re more into its performance first and foremost. The 110S is available in three variants – 128GB/256GB/512GB. What we have at the moment is the 256GB variant but Transcend isn’t really specific about the rated performance for each offering. 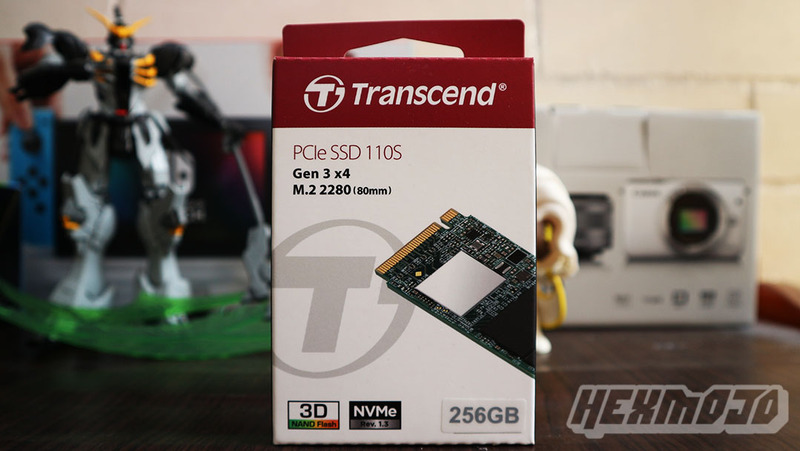 Transcend does claim it’s rated 1,800MB/s read and 1,500MB/s write, and it’s one we’re just quite eager to give it a spin. We already have it all set up. Also important to note, Transcend is offering a 5-year worldwide warranty for its products including the 110s. You read that right. The company’s warranty is offered worldwide, and you’re not locked out to the region when you officially bought the product. If you’re looking to do the RMA and you just can’t reach the original seller of the Transcend product, you can just contact Transcend’s Global Partners that are near you. How’s that for impeccable?